Are you beginning to look for the best Child Karate Katy TX classes in your area, but you don’t know where to begin? Maybe you’re unsure of where to go, but you’re trying to figure out the best way to get out of this conundrum. If you’re ready to transform yourself in all aspects, call Tiger-Rock Martial Arts. We have a team of experts who can provide you with the best resources and courses in Texas. Do you have some children who are very worried about physical fitness? Perhaps you are noticing that they’re not doing too well in sports or other physically demanding activities and you don’t know how to handle this. Everybody wants their kids to be healthy, but it can be nearly impossible knowing how to handle a sensitive circumstance like this. When you see this happening, you may be tempted to become overprotected. However, instead, why not give your children tools they can use for the rest of their life? If your kids are beginning to struggle physically but you still believe in their capabilities, enroll them in a martial arts program. We have many striking and kicking drills that will give your son or daughter they exercise they need. These promote cardiovascular health, so you will also be lowering blood pressure and cholesterol. Our dojo puts your safety and health first, and we hope all our students are able to maximize their potentials and levels of health. Something else that’s important is agility and flexibility. Usually, children are able to hold onto their dexterity. However, if your son or daughter is struggling to maximize their range of motion, you’re probably beginning to worry. This is something that all parents go through, but we’ll make sure you have the tools and resources you need to stay safe. Make sure to call upon TRMA when you need some help. Child Karate Katy TX services are brought to you by Tiger-Rock Martial Arts. Our company has been around this industry ever since the year 1983. Though everybody has to start small, we quickly realized that we could really do something with this. Today, we are currently the most popular martial arts franchise in the nation. We have well over a hundred locations around America, and we want to make sure our students take advantage of these opportunities. The mentality of your child is something that should be monitored. Like most kids, you may have a son or daughter who is gleefully happy and without a care. However, not all children seem to be this blissful. Isy our offspring beginning to show signs of self-doubt and anxiety? Perhaps the focus isn’t what it used to be and you’re beginning to get very concerned. When you have a growing level of worry in your chest, it can be easy to overreact. However, we can help you make a rational decision that is grounded in logic and reason. While it might seem counterproductive, exposing your child to karate classes and Taekwondo can actually help decrease violence. Studies show that having your child involved in a dojo can greatly help them become more peaceful children and adults later in life. 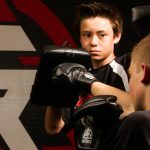 Everybody wants to raise a well-rounded adult, and involving your child in martial arts early can help you do just that. Our certified instructors are masters of traditional Korean Taekwondo. We understand that it is going to take motivation and discipline to master this, and we want to help you get there. We are going to make sure we are constantly pushing you to get better and hit the next level of your training. Our team understands that there will be struggles and obstacles along the way. If you’d like to have a group of experts behind you to help you out when things get tricky, TRMA has your back every step of the way. Are you someone who relishes in the heat of competition? Perhaps you were very competitive as a child, but you never got to truly understand what it was like to win and lose. If so, we think you’ll get a thrill out of our national tournaments. We have these on a yearly basis, and we encourage every single student of ours to participate. You never know what might happen, and it’s a great way to spark some additional improvement on your journey. Let us know what you need, and we’ll help you find it. Finding the right Child Karate Katy TX classes for your son or daughter can be a very difficult process to navigate. Even though you’re trying to figure out this tough process, know that there is help out there for you. 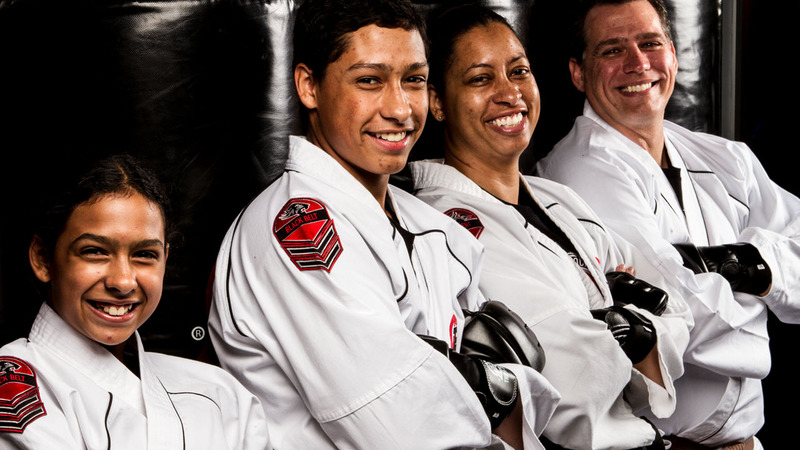 Tiger-Rock Martial Arts is a company that’s here for you to help you find the right course that fits your family’s needs. Contact us if you’d like to learn more about our dojo’s classes. We would love to help you figure out a regimen that will help you grow towards your true transformation. TRMA is here for YOU! Katy, Texas didn’t always have this name. Though it did come to us in the later 1800s, in the early 19th century, we were actually called Cane Island! This is a Texas city that sits right in between Houston, The Woodlands, and Sugar Land. The first mayor of our city was named C.L. Baird. Are you trying to figure out what to do while you’re in Katy? If so, we highly suggest visiting our famed antique stores. These are high-quality shops that connect you with vintage items from the past. If you’re into history and Southern heirlooms, we think you’ll greatly enjoy this. Are you more modern? If so, there’s always Katy Mills Mall. This is a great place for anybody. If you’re someone who likes to shop, eat, and simply walk around aimlessly, KMM is the place for you. There is a plethora of parking, and you’re bound to find a store to enjoy!